West Wemyss harbour dates from 1512 and one of the earliest records from 1590 is of a ship from England carrying the plague, which spread throughout Fife devastating the population. The harbour was further developed from the middle of the 1600s. By 1795 over 6000 tons of coal per year mined in local pits was exported from the harbour, and at around the same time ships were being built here. West Wemyss used to be one of the most important ports in Fife, with sailing ships coming from all over the Continent to trade coal and salt. 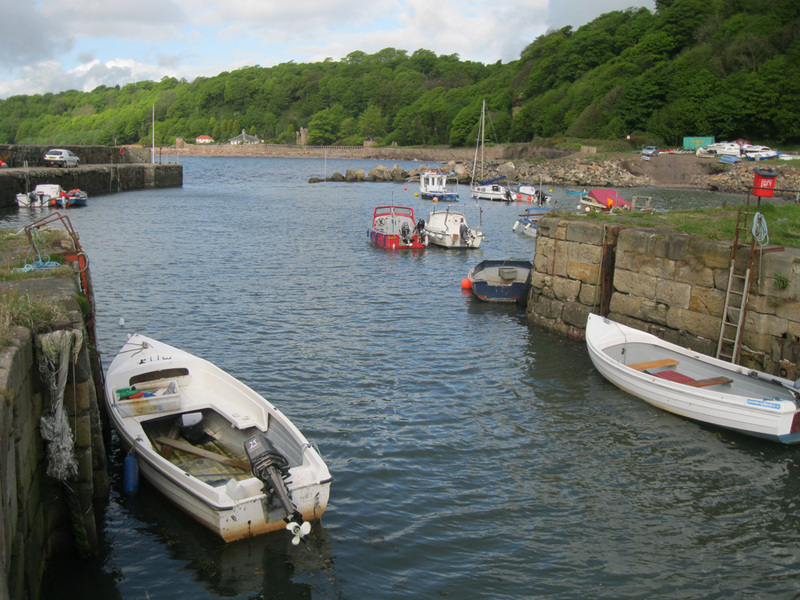 In 1900 West Wemyss harbour was linked to local pits by a railway that ran through a tunnel to reach the village. During the early years of the 20th century, 60,000 tons of coal per year were exported via the harbour from the nearby Lady Victoria and Lady Emma collieries. But the expansion of Methil Docks meant that West Wemyss harbour eventually fell into disuse. In 1964 the inner basin was largely infilled with colliery waste, and landscaped. Recent years have seen the mid-20th century decline reversed. A huge amount of work has been put into effective coastal defences, and the Wemyss Estate has invested heavily, with help from some well-spent lottery money, in turning the village into a truly attractive place to live and to visit. Many of the houses lining the main street have been extensively renovated, and in the 1990s the harbour was brought back into use for fishing and pleasure craft.